Any tenant who is currently in receipt of housing benefit is at risk of having the amount they receive reduced. 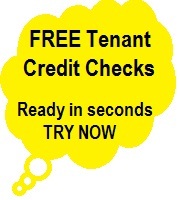 As a landlord this may mean that you too could be at risk from tenants who fall short of paying their full rent. Without an assured safetynet of Direct Payment private landlords may be inclined to take a more risk averse investment view and reposition their portfolios and be wiser to stay clear of areas with higher unemployment or socially deprived areas; this in turn may create social ghettos where only low income and benefits tenants reside. The Welfare Reform Act 2012 received Royal Assent on 8 March 2012, the Act sets out fundamental changes to the welfare system, aimed at improving the benefits system to reduce dependency on welfare through: improving incentives to work, making work pay and reducing overall spend. There are no guarantees you will secure direct payment, so it is imperative to make sure that you have other preventative measures in place.